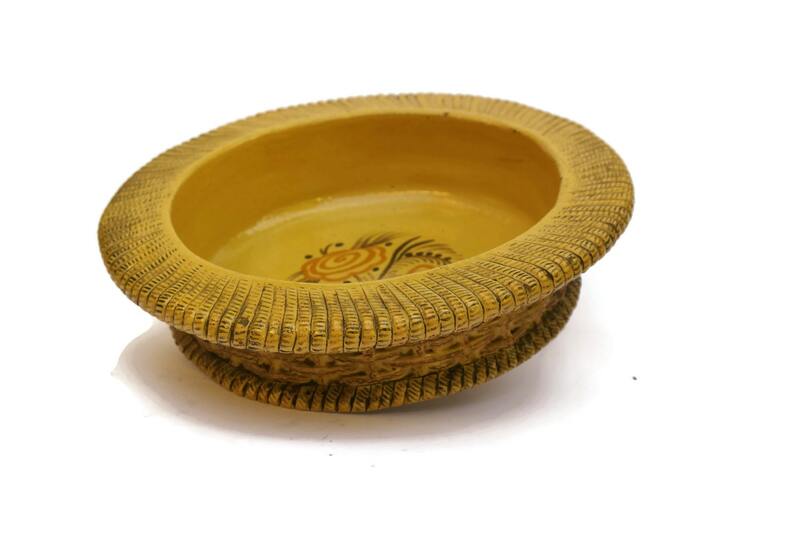 A large salad or fruit bowl in yellow glazed ceramic dating to the 1930s. 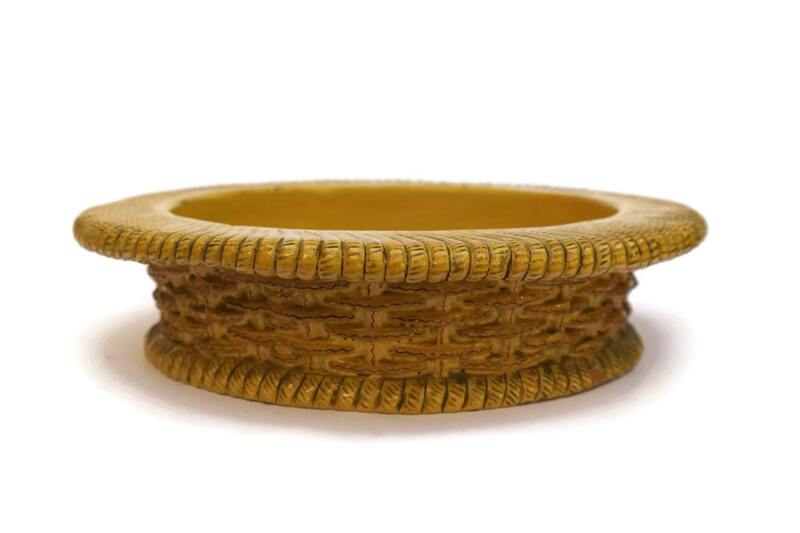 The rustic stoneware dish features a basket weave design with a broad rim. 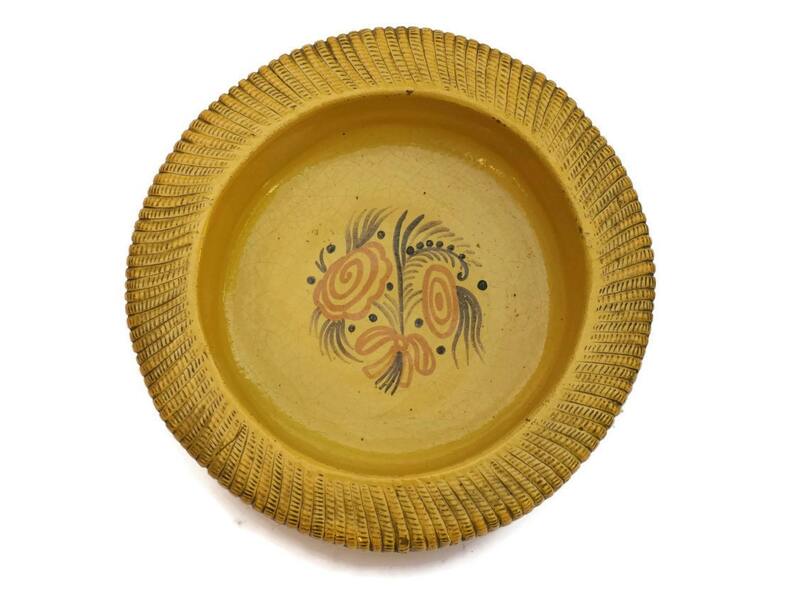 The interior of the bowl has been hand painted with a charming rustic floral design. 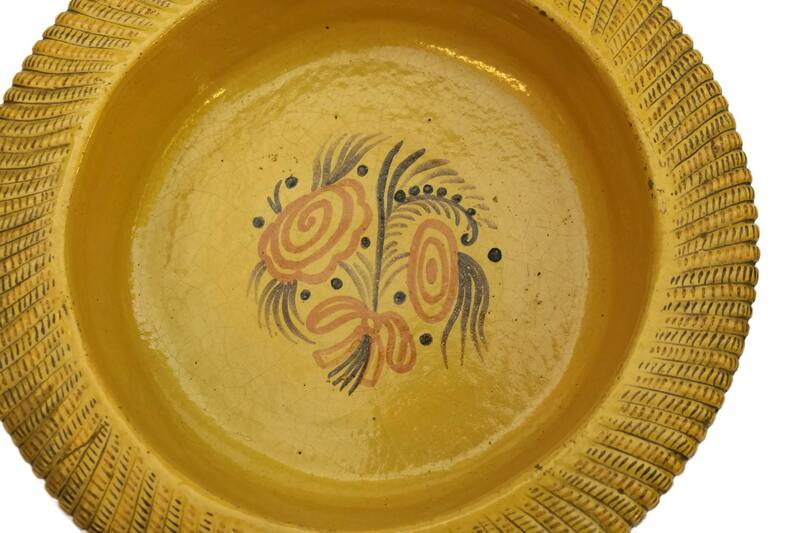 The underside of the bowl is incised with the word "Primavera", which was the brand name for the range of ceramics produced by an Art Pottery Studio exclusively for the luxury Paris store "Le Printemps". It will make a great addition to your French rustic kitchen decor. 12" wide x 2.75" High (30 cm x 7 cm). 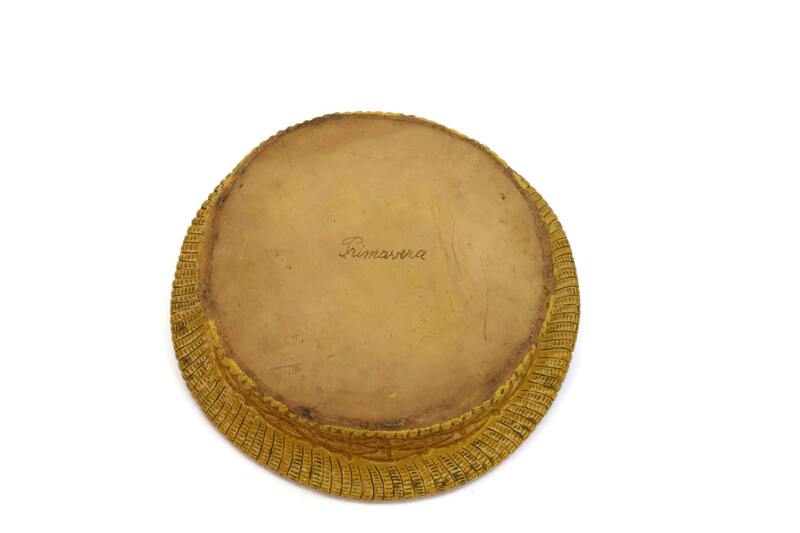 The top rim is 1.75" wide (4 cm). The vintage bowl is in good vintage condition with light crazing and flakes to the glaze in places.